Frank Gehry is an artist. Frank Gehry is a creator. Not unlike one of his most prominent works, i.e. the Bilbao Guggenheim, which triggered a phenomenon known as the “Bilbao effort”, his bespoke emissions are usually a spectacle – to the extent where critics claim that his constructs are mainly an exercise is excessive self-indulgence defeating the purpose of being functional. Apart from the fact that Gehry’s engineered pursuits are never not intriguing, they raise the questions of the merits of creating art, the significance of building as a cultural occurrence and the practicalities of it all. Be it as it may, the impact he has had on architecture at large and the incorporation of ornamentation and the application of computer software to create sheer limitless, intricate and undulating designs pushed the boundaries of what was considered to be possible. 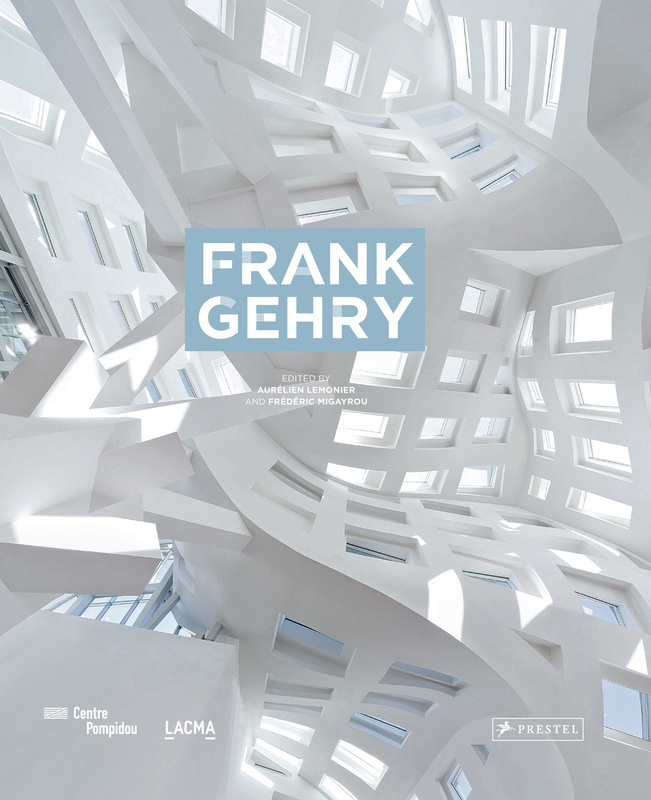 This beautifully illustrated monograph compiles fifty of Frank Gehry’s most striking and impactful work, spanning a period of sixty years. Following a chronological timeline, the tome sheds light on Gehry’s genesis and his evolution, which was fuelled by him firmly embracing new technologies and innovations. It is great to see how Gehry’s work not only expands and elaborates on the concept of what a city can and should be, but conceptualised the buildings and creates a dialogue with them and their environment – a conversation that usually enhances both. The range of the idiosyncratic edifices and constructions that are profiled along with their locations is testament to the Gehry’s flexibility and diversity. The sketches, drawings and plans that are depicted give an indication of how much visionary thought and efforts goes into the modelling of each. If nothing else, Frederic Migayou’s and Aurelien Lemonier’s informative book illustrates that has never ceased to create surprises and inspiration for both his peers as well as the general public. An intriguing read that translates and resonates well with what I feel and sense when I encounter a “Gehry” in the third dimension.